Enjoy a three night stay at The Ice House in a luxurious room with spectacular floor to ceiling river views. 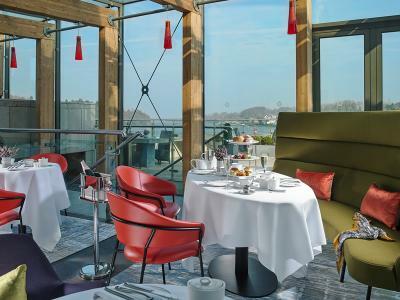 Savour dinner on one evening of your choice in the riverside restaurant overlooking the River Moy. Each morning of your stay enjoy a cooked to order full breakfast. Enjoy the sights on the Wild Atlantic Way in North Mayo or take time to relax in our spa thermal area, leaving you chilled and refreshed after your stay. 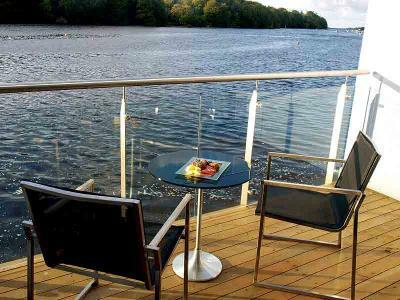 Treat yourself to a over night stay B&B with a relaxing Champagne Afternoon Tea overlooking the River Moy, it's the perfect spot to enjoy Bubbles and Afternoon Tea. Head Chef Anthony Holland and his culinary team has created a delectable selection of sandwiches, scones, homemade pastries and bite sized desserts. Gluten Free Afternoon Tea is also available upon request.